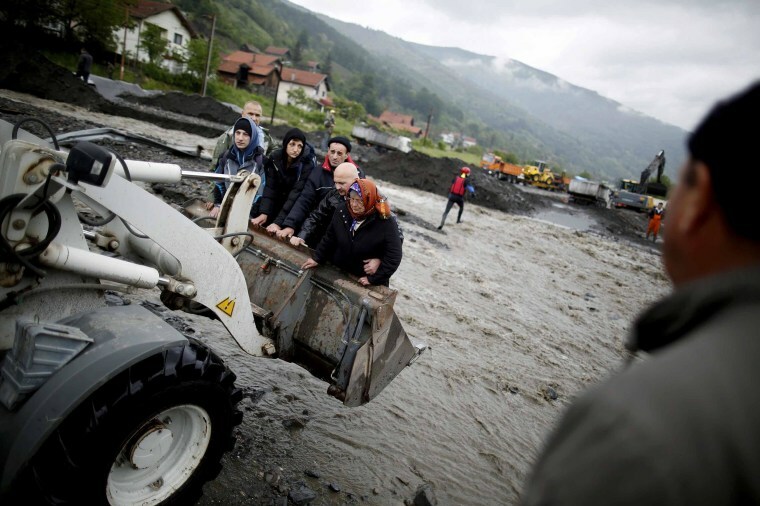 The heaviest rains and floods in 120 years have hit Bosnia and Serbia this week, killing at least five people so far. The floods have forced hundreds out of their homes, damaged roads and bridges, shut down schools and cut off power for entire towns. In the photo above, people are carried by a front loader as they evacuate from their flooded houses in Topcic Polje, near Zepce on Friday.